Americans will get their first look at Jaguar's new luxury SUV, the F-Pace, at the Los Angeles Auto Show opening this week. In addition, Buick will debut its redesigned large car, the LaCrosse, and both Nissan and Hyundai will display new versions of their compact cars. The L.A. show -- open to the public from Nov. 20 to 29 -- kicks off the U.S. season for major auto shows, with Detroit to follow in January and New York in April. Jaguar F-Pace -- Jaguar is introducing its first SUV well after luxury competitors like BMW, Mercedes-Benz and Porsche. Jaguar engineers are definitely aiming for high performance. The F-Pace will come with a supercharged 380-horsepower V-6 engine that the company says can go from zero to 60 MPH in 5.1 seconds. 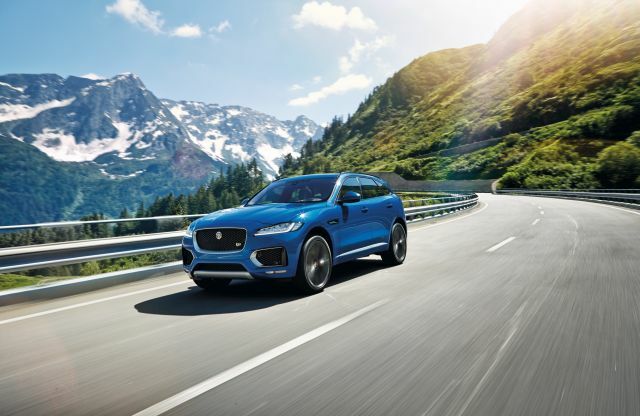 The F-Pace, which was shown earlier this year at the Frankfurt Motor Show, will offer rolling Wi-Fi as an option, with the signal able to connect to up to eight devices. The F-Pace, labeled a 2017 model, will go on sale next spring. The list price starts at $42,390 for the gasoline engine, with a diesel version available starting at $40,990. Buick Lacrosse -- Buick's large car gets a complete redesign as a 2017 model. Buick is still fighting against its reputation as a senior citizens' brand, and its LaCrosse sales have not kept up with competitors like the Chrysler 300. So far, General Motors has shown only shadowy outlines of the new LaCrosse design. But it's said to resemble the sleek Avenir concept car shown at the Detroit show last January. Nissan Sentra -- Sentra is among the top five in sales for compact cars. And Nissan hopes the redesigned 2016 model will help it gain ground on the two leaders, Honda Civic and Toyota Corolla. The 2016 Sentra will have a four-cylinder, 110-horsepower engine rated by the EPA for 29 MPG in city driving and 39 on the highway with automatic transmission. Among safety features, the Sentra will come standard with a backup camera. Hyundai Elantra -- The third-best-selling compact behind Civic and Corolla, the Elantra will be shown in Los Angeles as a totally redesigned 2017 model. As with the Hyundai Sonata before it, the new design moves away from the flowing lines of the front fenders for a flatter front end. The new Elantra adds several of the latest safety features, including automatic emergency braking and blind-spot warning.